Little Bow and Cute Mice. Today I was wearing my favorite Marc Jacobs mouse ballerinas. I bought them about 2 years ago, but still they are in my wardrobe and I love them with all my heart! In the future want to buy another pair of MJ mouse ballerinas, again in black colour and with studs – from the new collection. 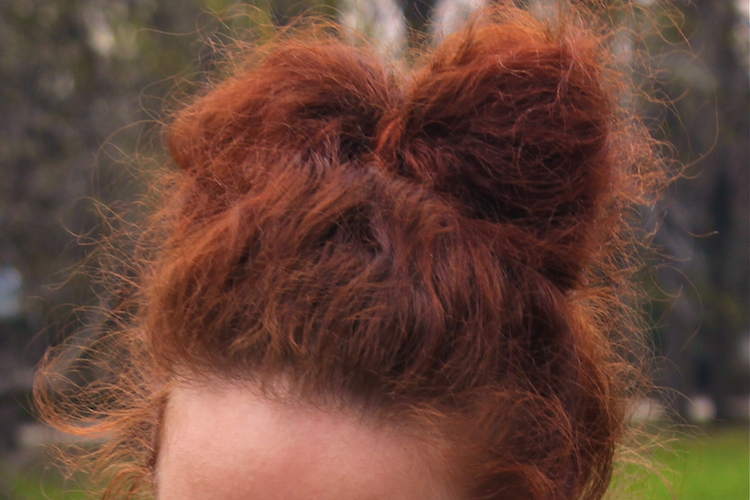 Also today I made for the very first time this cute hair bow. I know that it is not very beautiful but I tried hard to make it so. Also at the beginning of the day it was symmetric, but after walking and crazy wind it was a little bit spoilt, but I hope it looks still cute on the photos. Сегодня я надела свои любимые мышки-балетки от Marc Jacobs. Я их купила почти 2 года назад, но они до сих пор номер 1 в моем гардеробе, и я люблю их всем сердцем. Планирую купить еще одну пару балеток-мышек от MJ тоже в черном цвете и с заклепками – те, что из новой коллекции. Next Post Summer trend: Crop Tops on Oh Keke! LOve the skirt, great color!